Kurt Westby is a union leader at SEIU Local 32BJ, Hartford, Connecticut Area. Cornell University MA, Sociology 1983 – 1986. The Working Families Party in Connecticut has focused on Congressional and gubernatorial candidates. It has not elected anyone to the General Assembly, but its candidates have received more than 1 percent of the vote in many statewide elections, allowing the party to endorse candidates of the two major parties. Aside from its statewide success, it has also been successful in electing members of the party to local office, including winning seats on the Hartford City Council. But the credibility of the third party was something Green had to earn when he arrived in Connecticut after a few years as a community organizer in Chicago. In the early days some of that agenda was focused on health care reform , and local living wage laws. 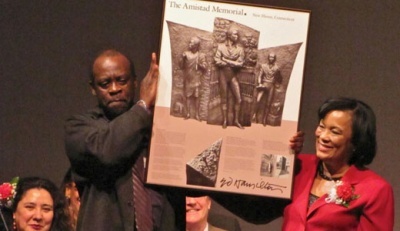 "Solidarity, determination, and celebration were the watchwords at this year's post-election People's World Amistad Awards held at Cooperative Arts and Humanities High School in New Haven", December 2012. Three grassroots leaders for progressive social change, Sen. Toni Harp, Kurt Westby, and Fatima Rojas, were honored around the theme, "Connecticut Rising - We are all the 47 percent!" Filling the auditorium were striking 1199 members from Healthbridge nursing homes nearing a full year on the picket lines; a large delegation of custodial workers, members of Local 32 BJ who came to help honor their director Kurt Westby, and many Unite Here union members including several who serve on the New Haven Board of Aldermen. Kurt Westby, Connecticut Director of SEIU 32 BJ, popularly known as the "Justice for Janitors" union, called for increased organizing for workers needs and rights following on this year's election victory. Appreciating the award, he said it inspires him to go forward. This page was last modified on 30 June 2015, at 22:49.